We are amongst the renowned manufacturers and exporters of a quality-assured range of Industrial hardware like Bolts, Nuts and Washers . These products are made up of high quality material in strict adherence with the industry standards and norms. The entire range of products is extensively tested before delivery in order to offer a defect-free range of products to the customers. These products are made to undergo through crack detection tests in order to attain customers' trust and reliability factor. 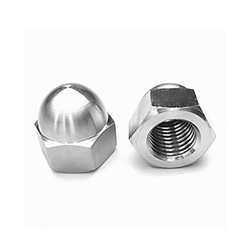 We are offering Industrial Metal Nuts to our client. We are looking inquiries from Europe and North America. 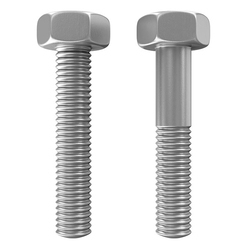 We are offering all types of Threaded Rod to meet the needs of our customers. These stainless steel studs are widely used in various generator engines, marine and off-shore construction engineering and in vehicle engines. We offer these products in various dimensions as per the customers' requirements. The entire offered range of these products is manufactured in adherence with the industry standards and norms in order to keep pace with the current market trends. We are offering all types of Bolts to our client. Offered products are widely demanded in various industries and are appreciated for their durability, reliability and excellent strength. 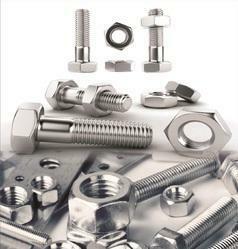 We are offering All types of fastenrs to our clients.